Okay, some of you who showed up to the mystery party yesterday are thinking: That’s not fair, you just introduced us to all the lame people at the party. Never fear we’ll get to the lovable ones later. Let me put it this way, say you’re new at the dog park. I notice you have a small white dog with black spots. A while back, I, too, brought my small white dog with black spots to the dog park—God rest his soul—and found out the hard way that a big dog named Bruno eats small white dogs with black spots. So as you walk in and bend down to unhook the leash on Spot, do you want me to point out all the friendly dogs? That’s just how we do things around here. I tell stories and within them you’ll often discover something encouraging, something that will help you live life a little better—it’s kind of like going on a mini-vacation and earning college credit at the same time. Just kick back, enjoy the ride and embrace the wisdom you find along the way. If you’re in a hurry, you might want to come back during your break at work, or late in the evening when you find yourself needing a little refill for your soul. -Is that all the better you can do? C’mon now, get your act together. -Why bother trying to overcome that, then you’ll have to work on all the other things wrong with you. -Stop whining and get over it! -You’ll only find happiness when you get the perfect hair, perfect figure, perfectly clean home, perfect children…. -No matter how hard you try—you’ll never measure up to those other women, not even on their worst day. -When your life is falling apart, dear, just smile and say, “Everything’s fine,” And it will be. -I bet eating a bag of Oreos is just what you need right now. If that’s what you found here, you would NEVER come back!!! And you’d never let your friends come here either. I wouldn’t expect YOU to take it. But I will? What’s up with that! Think about the harsh and degrading stuff the voices in YOUR head chuck at you? Would you say those things to your friends? NOT HARDLY. Sometimes we need someone who looks out for us. Someone to step in between us and the harsh voices that try to get us down. I was journaling one day about a time when someone really hurt me and how I’d been so defenseless and how I wish someone had stepped in and protected me. “Why this waste of perfume? It could have been sold for more than a year’s wages and the money given to the poor.” And they rebuked her harshly. We’re called to love each other like Jesus. 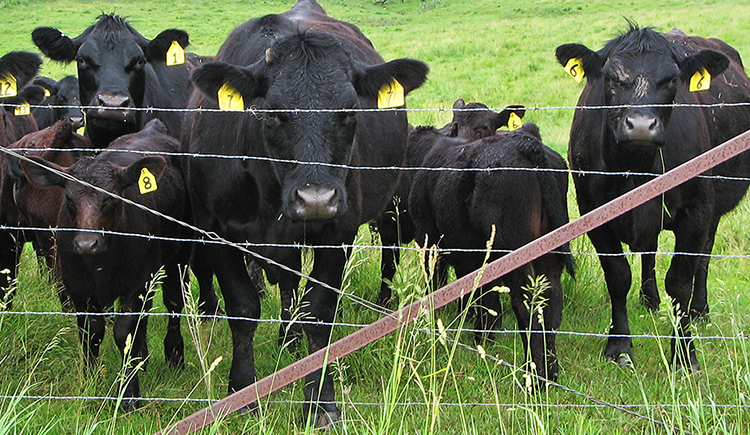 I stopped to take a picture of some calves standing at the fence alongside a country road. As soon as I was out of my car these mean-looking mama cows started moving in from all directions. Soon I couldn’t see the calves at all. Just one line of defensive mamas all standing shoulder-to-shoulder. Love the Mama Cows and how you relate it to scripture. Beautiful. God speaks through the daily stuff of life, He’s always teaching and leading. I need that kind of daily feeding and clarifying. Love to share what I see along the way. Thanks for stopping in—I appreciate you.